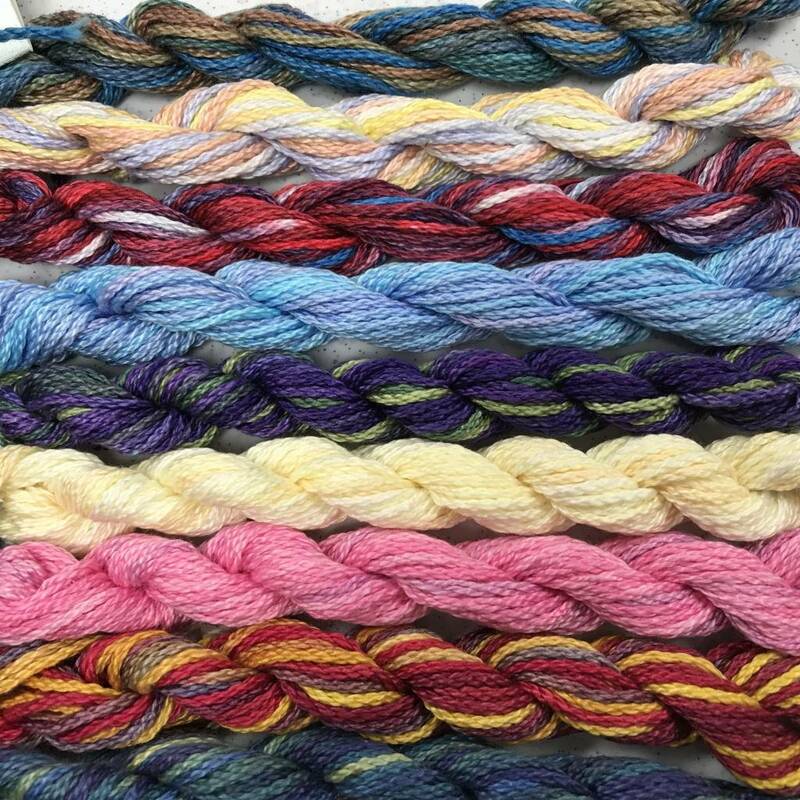 3 ply pima cotton - 10 yards. Handpainted, made in the USA. 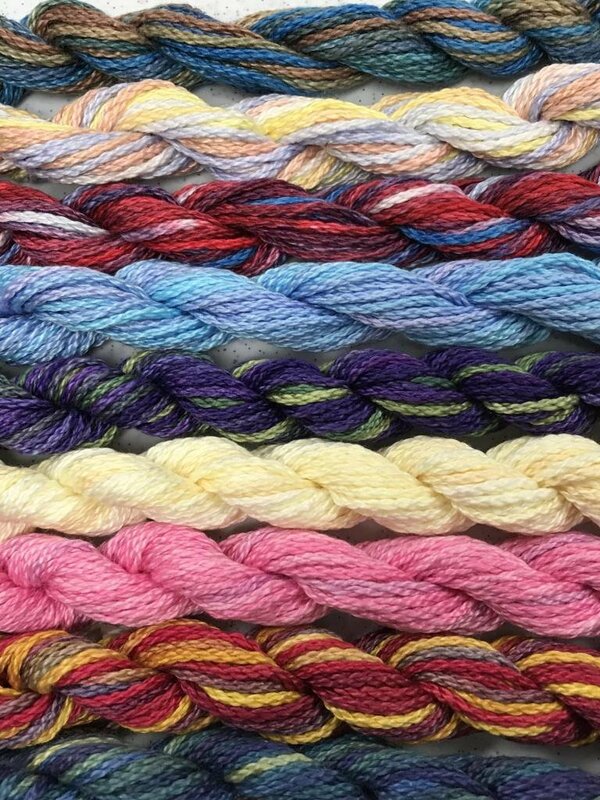 A three-ply hand-dyed pima cotton in variegated colors. It has a silky sheen, especially when used with long, flat stitches. Separate the plies and use one or more in the needle according to the pattern directions. One ply is about the same weight as a #5 pearl cotton or six plies of cotton floss or one ply of persian wool. Also good for Sashiko.